I'm here to help you impact the world. My belief is that anyone with a great idea should be able to start and run a successful business. That's why I started Grundr, a management consulting and investment company dedicated to empowering entrepreneurs. When I'm not working there, you can find me speaking at events, mentoring entrepreneurs, advising startups, and running programs to help businesses and founders jump-start their growth. I've also been featured in SHIFTER and Business Insider. 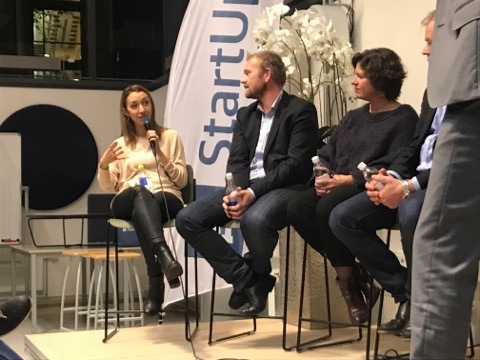 Grundr has launched the Hub.no, Danske Bank’s initiative towards startups and growth companies in Norway in 2016 and has been managing the platform till August 2018, growing it to over 1200 Norwegian startups. Are you interested in my services? Even successful people need a coach. That's why I volunteer with the Professional Women's Network and Founder's Institute as a mentor. I love sharing my knowledge, skills and experiences. I'm available to speak at public and private events, corporate training sessions or even group meetings.